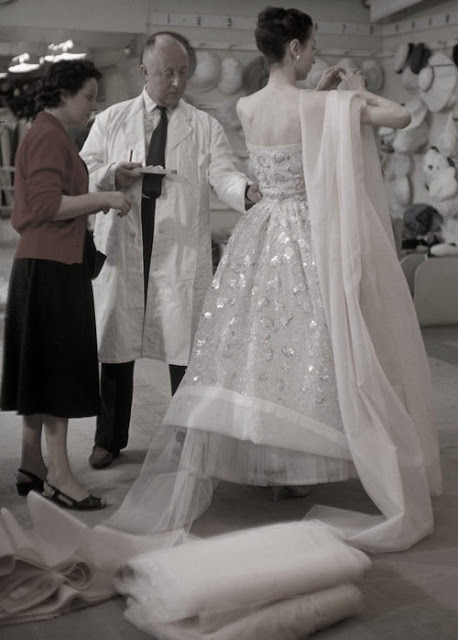 Christian Dior in his studio, making pretty things. But my favorite part is that he has dressed himself like a doctor! I mean what is with that lab coat? ...ultra professional.